What’s your writing story? I was always a writer, but frankly, I didn’t think I’d ever write a novel. It just wasn’t on my to-do list. And when I was looking at thirty I was looking at a two-year-old, a golden-retriever, and a cross-country move—NOT at a typewriter. When I was turning thirty, we did not own a computer, almost no one did. OY! Remember: finishing a novel is an accomplishment. Caught up in the drive to publish we forget that. But I do remember the first time I typed THE END on the first draft of what would become The Glass Wives. That book was pronoun-challenged, cliche-filled, and lord only knows what else. But, it was FINISHED. Read about Cortney’s journey, and welcome her to Women’s Fiction Writers! When I was about twelve, I made a pact with myself to publish my first novel before I turned thirty. In high school and in college, I wrote short stories and nonfiction articles for the school newspaper. After graduating with a degree in Creative Writing, I did some professional writing and I began a wine blog. Despite having said writing experience, I didn’t know the first thing about crafting a novel. There was no novel-writing class offered at USC. As my thirtieth birthday loomed closer, I started writing like a madwoman. My impatience and eagerness to publish put me at a disadvantage. I realize now how many mistakes I made. But it has been a learning experience to say the least. I’ve never been much of a planner, professionally or personally. I say it’s because I like to live in the moment and be spontaneous, but I am also afraid of commitment. For years, I toyed with different ideas for my first novel, but none of them seemed good enough. My worst fear was committing to one of those mediocre ideas and writing fifty pages but never complete it. One day in early 2012, I sat down and typed up a few funny stories. These vignettes became longer until I started to string them together. Before I knew it, these pages became the first draft of my debut novel, Where I Want to Be. I wrote several drafts after that, hoping to get it right but not sure if I was even going in the right direction. Before delving into the writing part, I should have planned out the plot and major events (at least to some extent). And if I had developed my characters first, I would have saved myself a lot of time with fewer drafts. Knowing who and what you are writing about is like providing yourself a roadmap (or using Google Maps on your iPhone). Without any kind of guidance, it’s very easy to get lost. You don’t have a story if you don’t have believable characters. In my first few drafts of Where I Want to Be, the characters were one-dimensional and I realized I didn’t like them that much. There weren’t people that I wanted to hang out with, let alone read or write about. I almost gave up on the novel altogether for this reason. After changing the name of my protagonist about ten times, I forced myself to stop working on the story and get to know my main characters. I decided what they liked to eat for breakfast, what color nail polish they wore, if they had had braces when they were children, what kind of cars they drove, what kind of wine they liked to drink. If I had developed my characters before diving into the novel-writing part, my first book could have been published long before my thirtieth birthday! Don’t be afraid to ask for help. I let my stubbornness and impatience keep me from doing a full second edit of my final draft. I was eager to self-publish on Amazon and as a fiercely independent woman, I didn’t want to bother anyone with my manuscript. But it wasn’t perfect and I kept finding typos. Publishing a novel is not something you can—or should—do by yourself. Not all of your friends and family may be available when you need them, but if you don’t ask, you’ll never know much they can help you. Last but not least, be patient with yourself as well as the writing and publishing processes. Nothing happens overnight, especially the writing part. I am my best cheerleader and my worst antagonist, but I have come to accept that I can’t write all the time. If you are stressed out and pushing yourself too hard, your writing will suffer. Cortney Roudebush grew up in Sausalito, California with her parents and younger sister. As a child, she was an avid reader and always knew she wanted to be a writer. After graduating with a degree in Creative Writing from the University of Southern California, Cortney moved to San Francisco. One of her early jobs was an advertising position at Wine Spectator Magazine. She already had an interest in wine, which only continued to develop. In 2009, Cortney Roudebush’s passion for wine encouraged her to move to Napa Valley. After working in the restaurant industry and passing the Court of Master Sommeliers preliminary exam, she relocated from San Francisco to St. Helena. 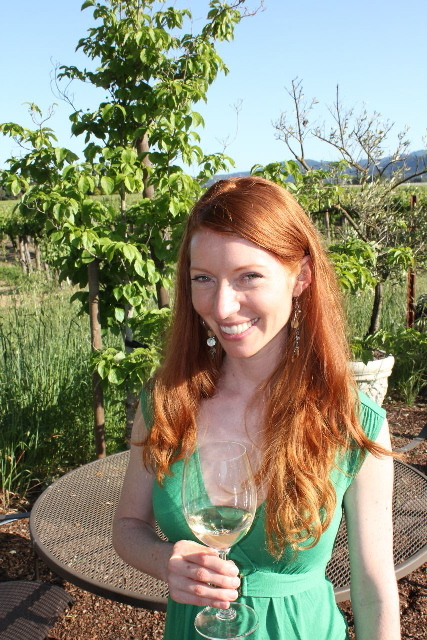 She began a wine blog called Sip, Swirl, Savor and wrote about her wine tasting experiences. She also held hospitality positions at various wineries. Inspired by her Wine Country experiences, she started her first novel in 2012. 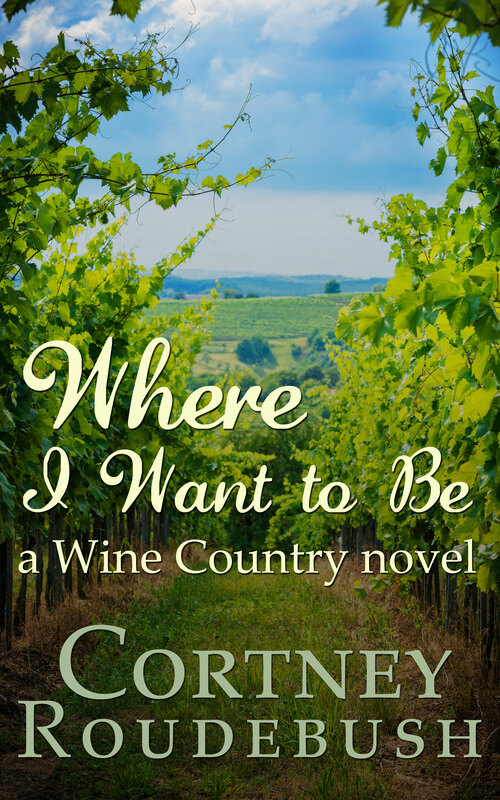 WHERE I WANT TO BE is the first of four novels in the Wine Country Series about four friends who live and work in Napa Valley. Cortney currently lives in Marin County and still enjoys going wine tasting in her free time. Great advice, Cortney. Congratulations on the Wine Country Series! Re “Ask for Help”: Yes! I can’t imagine how I could have written either of my books without my writers’ group. First came support: “You can do it, c’mon, you really can, keep going.” Then critique: “In Chapter 2, the plot doesn’t advance enough. How about…..” Then encouragement: “It’s now good enough to send out. Do it.” Writing is lonely enough and, for me at least, can be a petri dish for insecurities. I second your advice. And congratulations. Thank you on both counts Carole! Finishing a manuscript takes time, but I am so happy I did it. Taking my own advice helped me write the second book in the series in only 10 weeks! I’m currently seeking representation for my first book and hoping that LIVING WITH GRACE will be picked up too. Cheers!